A new service called Giveacar, launched earlier this year, organises the donation of end-of-life cars to charity. Giveacar is spearheaded by the young social entrepreneur Tom Chance and is aiming to capture a large part of the end-of-life vehicle recycling market through its unique selling point. 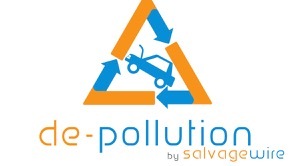 Though Giveacar’s primary aim is raise money for registered charities, the service is keen to promote effective vehicle recycling in order to reduce the environmental impact of end-of-life cars. 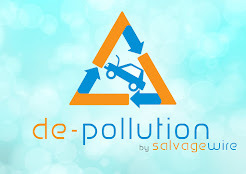 Giveacar only uses the salvage operators Cartakeback and Bluecycle to collect vehicles. Giveacar is using its environmentally-friendly ethos to market the concept. Major environmental charities such as Keep Britain Tidy and Keep Scotland Beautiful, as well as many local councils, have recently started promoting the scheme. Car donation is therefore gradually gaining momentum in the UK salvage industry, adding another pocket to an already-congested marketplace. The Environment Agency has determined that all Category A and B salvage is hazardous unless de-polluted. As a result movement of these vehicles needs to be accompanied by Hazardous Waste Consignment Notes (HWCN). There are some specific issues relating to Cat B vehicles moving across the Scottish or N Irish borders. For Cat B’s purchased in England and Wales a HWCN downloaded from the Environment Agency web site can be used. It is then the responsibility of the carrier/receiver of the vehicle to complete the quarterly returns to the E Agency and pay the fees requested. This applies if the carrier/receiver is based in Scotland or N Ireland. Where the vehicle is purchased in Scotland the carrier/receiver of the waste must purchase the Special Waste Code from SEPA (Scottish Environmental Protection Agency) prior to collection of the vehicle. For vehicles purchased in N Ireland the HWCN must be purchased from N Ireland Environmental Services (NIES), and they MUST be given 3 working days notice of vehicle movement. Note – Category B’s purchased in England or Scotland and moved to N Ireland can be moved on E Agency HWCN or SEPA Special Waste Notes, but 3 working days notice must be given to N Ireland Environmental Services. This is for guidance only, it is imperative that all producers, carriers and receivers of hazardous waste fully understand their responsibilities. From the 15 August 2010 all V5C's that are issued by the Driver and Vehicle Licensing Agency (DVLA) will have a new look. The new V5C will make it clear that the registration certificate is not proof of ownership and will provide details of where you can get advice on buying a used vehicle. The ‘scrap’ box has also been removed because all cars, light vans and three-wheeled motor vehicles- excluding motor tricycles, must be taken to an Authorised Treatment Facility, who should issue a Certificate of Destruction (CoD). Vehicles other than those already mentioned, should still be taken to an ATF to ensure they are destroyed to environmental standards. Anyone keeping the vehicle but breaking it up for parts, etc, should make a Statutory off Road Notification (SORN) to let DVLA know that the vehicle is being kept unlicensed and off the road. Anyone with the existing blue version need not do anything as both types of document are still valid. DVLA’s ‘Buyer Beware’ message advises that the V5C is only one of the things that buyers of used vehicles need to check. By making buyers aware of the risks, our aim is to help them to protect themselves and reduce the risk of getting caught out by criminals. For more information on the V5c and our Buyer Beware consumer protection initiative, go to www.direct.gov.uk/buyerbeware for your information.